All songs written and composed by Luka Bloom. 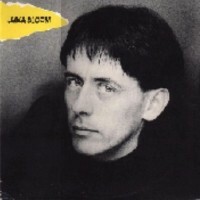 This self-titled album was Luka Bloom's first under that recording name. The album was recorded in Dublin for the independent label Mystery Records. It ran into legal difficulties almost immediately and was withdrawn. In addition to being the first record under the name Luka Bloom, it also marks his first foray into the resonant DADGAD electro-acoustic guitar tunings that became the hallmark of his sound. 'Parisienne' and 'Rodrigo Is Home' (about a 19-year-old Chilean boy burned alive by General Pinochet's army) are left relatively free of instrumental clutter, and this 'Gone to Pablo' varies little from the Riverside version. Bloom's songwriting is as strong as ever.